Securing A Graduate Job In The Auto Industry - Muscle Cars Zone! If cars are your passion, then you’ll be happy to hear that an automotive mechanic can earn up to $50,000 a year. While a high school diploma is a minimum requirement, many companies prefer to hire someone with a degree in a related field. If you’ve just graduated and are looking for a career working with some of the world’s greatest muscle cars, then you may be wondering how to get started. It starts with selling your qualifications while trying to gain experience and being truly passionate about the auto industry. Many aspiring mechanics haven’t graduated college, so you should be proud of your qualifications. Until you have more experience, this is your ticket to the world of automobiles. College is always worth the time and money spent, but it is up to you to show it off. Graduation reveals that not only do you have a high level of knowledge but also that you are responsible, having completed all assignments on time and financed your way through university. Place this near the top of your CV with explanations of how it will help you in succeeding as a mechanic. Be sure to mention other extracurricular activities you engaged in and how they are relevant to the auto industry. If you achieved a high mark, make sure this is clear from the beginning. As important as qualifications are, the car industry is very hands on. You need to show that you don’t only have the knowledge, but the practical experience as well. Fresh out of college, you may not have as much vocational experience as you’d like. Show initiative by getting some training as early as possible. Write to local mechanics and ask if you can help around at all. Sign up for training courses if possible. 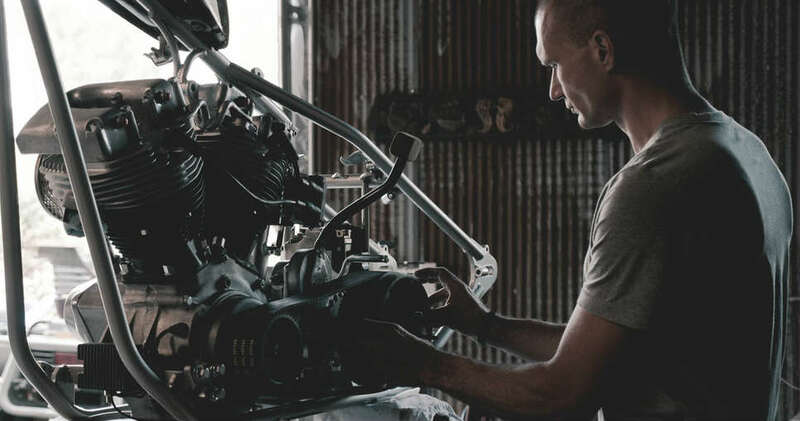 The quicker you can get practical training, the faster you can land a dream muscle car career and climb the ranks towards becoming a master mechanic. Your degree is your foundation, which proves you have the knowledge and dedication. Your practical experience is evidence that you can get the job done. However, it is your passion for muscle cars that will take you to the top of the automobile industry. Stay up to date on the latest vehicles, including how they are built. Engines and other mechanical technology is constantly changing, so follow the latest trends. Always keep on top of how cars are put together and how they can be mended, letting your passion and energy shine through at every opportunity. Completing your degree is the first step to becoming a muscle car mechanic master. However, it is not enough on its own. Set out to gain practical experience, learning from the best and proving your commitment to the industry. By letting your passion show every step of the way, you are setting yourself up for a successful career, working on your favorite cars.